The Casting Shadows blog’s second Serial Setting appears in weekly installments and is scheduled for a 6-month run in which less only this and one other post remains. This series is focused on providing basic details for heroic pulp adventures for the Ubiquity Roleplaying System as presented in Hollow Earth Expedition and to a much lesser extent Leagues of Adventure. 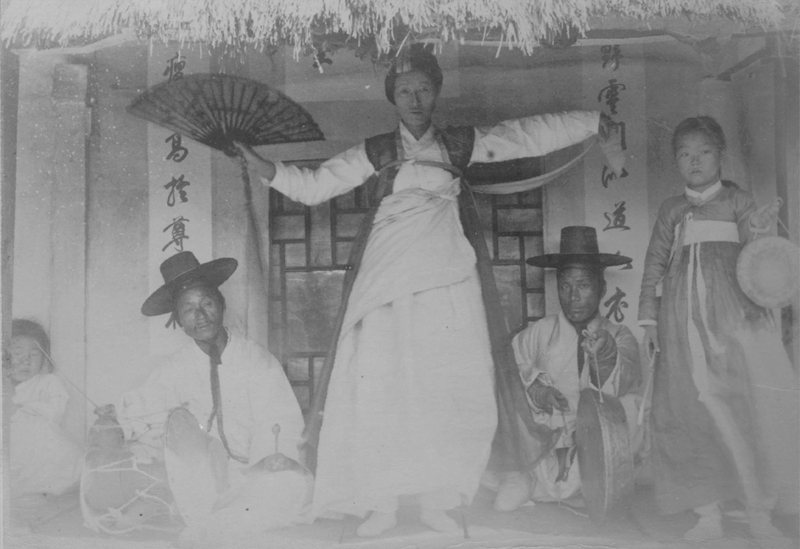 These ideas, set in a fictionalized and mysticized version of the Korean peninsula in 1936, present a community oppressed by faceless enemies and their own countrymen. It will additionally suggest routes, leads, and hooks for GMs to entice groups based elsewhere in the world to get involved. This series portrays characters and situations which are often grim, oppressive, and hopeless in hope that once characters from your campaigns are introduced, you can change that, or part of that, for those whose lives your players’ PCs encounter. This series also contains very strong suggestions of ways to enable the characters to travel either to or from the Hollow Earth (and even a small suggestion of how they might come to learn to do both), and so has quite a few touches of the unexplained and unexplored. Families owe a debt to their elders and ancestors which must be paid down through the generations. In troubled times, these connections grow harder to maintain, and tenuous ties may be lost. Locations of burial sites can become obscured, or intentionally destroyed. Names and relationships can be forgotten. In these cases, the mudang (shaman) may have to stand between the slighted dead, and the unknowing family. A far greater fear, of course, is that ghosts, those unfortunates who have died from violence, or died alone may find cause to take out their anguish on you and your loved ones. Even the mudangs fear these cases. The focus on reverence for those who have gone before, even to the extent of caring so conscientiously for the memory and memorials of those long dead has made the peninsula a perfect breeding ground for tales of mystery, horror, and otherworldly vengeance. In these times, with upheaval, violence, desecration, oppression, re-education, and subjugation tainting the very air people breathe, these tales take on more than cautionary value, they become something akin to wish-fulfillment and fantasy. In the darkening of the world throughout the Dirty Thirties, some seek contact with the dead at any price. Those who deal with the Orient via Hong Kong, Shanghai, or Tokyo may come to hear about the wild sword dances and ecstatic trances of the shamans of the old Choseon Kingdom and wonder if any are left today with the power to draw the dead close, or drive away the ghosts which haunt us until we seek death ourselves. They may wish to make their way to this crumbling former country and find out for themselves. They may be disappointed to learn that more often than not, the mudang is the ridden, not the rider, that they often do not command, but are commanded, that they are rarely solely in possession of their senses, and their solutions may not always be to the advantage of the living. Other means of connection may drive the charismatic but otherworldly mudang into the civilized glass and steel realm of the foreigner with a request, a message, or perhaps even a demand. The mudang are experts in the lay of the land, the paths of the wind, the flow of the water, and the whispers of the spirits within all of these mundane things. They are open to the words of the dead, and the cries of the ghosts who wander lost between worlds. No place on Earth is strange to them, yet they are strangers in all places.